The dawn of a new year is such an opportune time to take stock of what we’re taking in. I don’t make resolutions (more partial to goal setting) but am always up to learn about how to get better and better. I’ve chatted with some of y’all about my vitamin & supplement regimen on Instagram–be sure to follow along–but am not even close to bring an expert so I tapped Marisa Moore to sprinkle her expert black girl magic on this post and get us all together. Marisa is a registered dietician nutritionist and fellow food blogger with her own consultancy where she provides nutritional coaching and more. 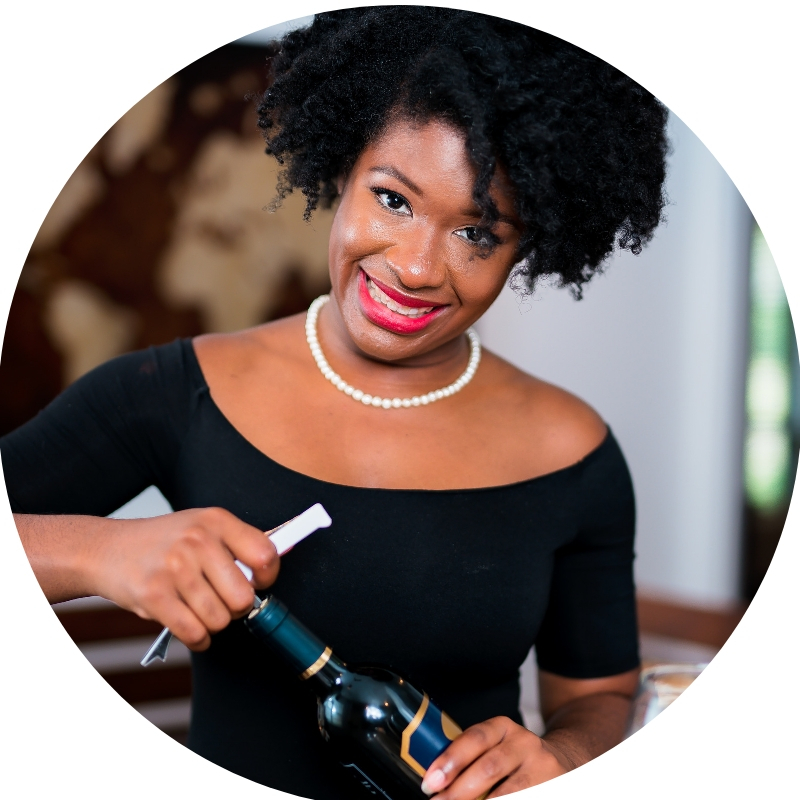 She is also a contributing editor for Food and Nutrition Magazine and the consultant dietician for Spelman College. Check out Marisa’s tips below followed by my current regimen and how I plan to change things up after this interview! Q: How did you get your start in nutrition and what do you love about it most? “By chance. I was studying chemical engineering at Georgia Tech. After my first summer interning in my major I knew that wasn’t how I wanted to spend the rest of my life. Meanwhile, I grew up cooking, watching cooking shows, and reading cookbooks like novels. I always loved trying new foods – especially vegan and vegetarian ones. My GT advisor knew about my love for healthy eating and sharing it with others and introduced me to nutrition science. And the rest is history. Q: What are some nutrient-rich foods we might be overlooking or be surprised by? “There are so many nutrient-rich foods that get overlooked. You’ll see “superfoods” like acai, spirulina, or bee pollen getting lots of attention but I like to encourage people to pick up those everyday superfoods like all kinds of greens, sweet potatoes, and berries. Q: What are your top three vitamins or supplements for women? Q: Any hair, skin & nails recommendations when plain old biotin doesn’t seem to cut it? “Though biotin is great if you have a deficiency, hair, skin, and nail growth and health depends on many factors including stress, personal lifestyle habits, and overall diet. Q: Any important vitamins or supplement needs unique to black women or women in general? “Vitamin D is a big one. Because of our beautiful melanin-rich skin, we don’t make as much Vitamin D from sun exposure. Most of us know the importance of vitamin D for bone health but it may also play a role in boosting the immune system and there’s research that it might help prevent and treat heart disease and diabetes – two major chronic health conditions in our community. Q: Does magnesium really help us absorb supplements better? If so, what should we look for/avoid in a magnesium supplement? Q: What’s the deal with ACV? “I still get a lot of questions about apple cider vinegar. It’s good – not a miracle weight loss food but still fine. And the right one may even help with gut health. Q: Any particular brands or retailers you recommend for quality vitamins and supplements? “I wouldn’t name one specific brand as there are many great ones. I will say that it’s vital to select a credible supplier. Supplements are not regulated by the FDA. So, you have to do your research. Skip anything that sounds too good to be true or one that makes claims to “cure” anything. Check the packaging for brands labeled with the NSF International or US Pharmacopeia, as these are independent testing programs that verify that the product contains the active ingredients it’s supposed to have and isn’t a fake. That said, there are brands that don’t have this stamp that I buy. I do my own research to ensure I’m getting a quality product. Also pay close attention to where a supplement is made. Different countries have different regulations and allowed ingredients – some better, some worse than others. Q: Any special methods you employ/recommend to try to get most of your nutrients from food? Q: What does your regimen look like? Here’s my current vitamin regimen. I am taking a closer look at the labels, where each product is made and examining the vitamin D content asap! You can find out more about Marisa here and be sure to check her out on Instagram as well! What vitamins and supplements do y’all take? Let us know in the comments section below. 🙂 Thanks for reading!